San Francisco Bay Keeper, an environmental group, reached an agreement on Friday with a storage company it sued two years ago for allegedly polluting San Francisco Bay, violating the Clean Water Act, and endangering the health of wildlife and neighboring communities. Bay Keeper and the company in question, Levin-Richmond Terminal Corporation, reached a settlement that requires the Richmond-based firm to better manage and clean up pollutants, including coal, petroleum coke, oil and grease, and transmission and vehicle fluids, at its facility along the Lauritzen and Santa Fe channels, on the Richmond waterfront. Levin-Richmond, a major shipping terminal for toxic chemicals, will invest $1.4 million to filter pollutants, monitor debris, and install wind monitors to prevent toxic dust from blowing into nearby waters. Catherine Johnson, Levin-Richmond’s attorney, said the agreement was a “good result” for both parties. The August 2012 lawsuit alleged that the stockpiled pollutants Levin-Richmond handled were not properly enclosed, leaving the chemicals to wash into the bay and escape into the air. The watchdog group argued that Levin-Richmond violated the Clean Water Act by exposing people and wildlife to chemicals known to cause cancer, birth defects and other forms of developmental harm. Stormwater runoff is the single largest source of surface water pollution in Bay Area waters, according to the California Environmental Protection Agency (Cal EPA). During periods of heavy rainfall, large amounts of harmful pollutants enter the bay “unabated and untreated,” said Thomas Mumley, assistant executive officer at the San Francisco Bay Water Control Board. Companies like Levin-Richmond are required to notify CalEPA about potentially dangerous storm water runoff. 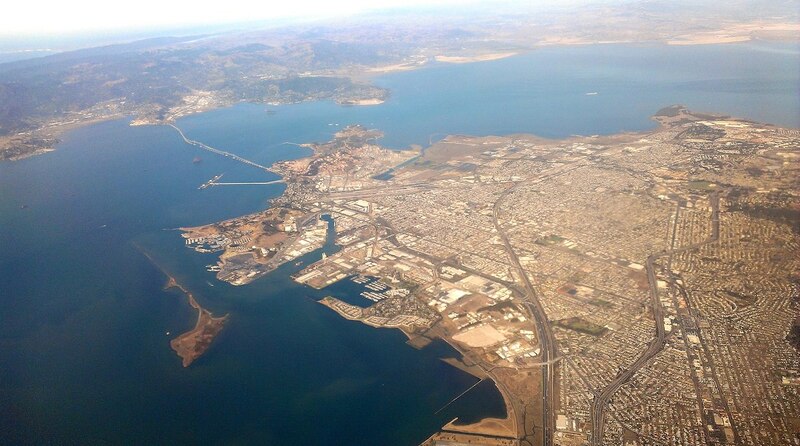 San Francisco Bay is no stranger to untreated pollutants. Since the discovery of gold in the Sierra Nevada in the 19th-century, the bay has been contaminated with numerous toxic chemicals, such as dichloro-diphenyl-trichloroethane (DDT), mercury, and polychlorinated biphenyls (PCBs). These so-called legacy pollutants still linger at the bottom of the bay today. With the passage of the Clean Water Act in 1972, groups like San Francisco Bay Keeper started addressing the problem of legacy chemicals while also trying to stop new pollutants from entering the bay.